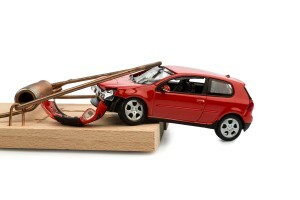 Home » Bankruptcy » What will Happen to my Car in a Missouri Bankruptcy? If you are considering bankruptcy as a solution to your financial problems, you may wonder what will happen to your personal property. Specifically, many people want to know if they will lose their cars or other vehicles. People often rely on cars and trucks to get to work, take their kids to school, or even for their own companies. Therefore, losing your car can have a huge impact on your life. Fortunately, Missourians who file bankruptcy have several options that allow them to keep their vehicles for personal or professional use. First, if you are late on your car payments, filing for bankruptcy will immediately stop any repossession efforts for the time being due to the automatic stay. Furthermore, Missouri’s motor vehicle exemption allows a bankruptcy filer to protect up to $3,000 in equity in their car from liquidation. You can figure out the amount of equity you have in each of your cars, simply subtract the amount left on your loan from the total fair market value of the car. For instance, if your car is worth $12,000 and you still owe $9,000, you have $3,000 of equity in your car. If you are married, you and your spouse each get a $3,000 exemption. Therefore, the two of you can protect $6,000 in equity in the same vehicle if you like. If you have multiple vehicles, you may divide your exemption between the vehicles. For instance, you may protect three different cars with $1,000 of equity each. You can apply the Missouri wild card exemption to protect an additional $600 of equity in your car. If you use your car daily for work, you may protect up to an additional $3,000 as a “tool of the trade.” In this case, simply using your car for a commute will likely not qualify it as a tool of trade; instead, the vehicle must be reasonably necessary to your business. 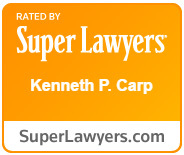 In short, you have several options in a bankruptcy to keep your vehicle, and an experienced Missouri bankruptcy lawyer at the Law Office of Kenneth P. Carp can help you with your case. Call us today at 636-947-3600 to schedule a free consultation.